As part of 2017 Latin America and Caribbean week in France, the Ministry of Foreign Affairs and International Development, Latin American Embassies and Le Cordon Bleu Paris are carrying out a series of culinary demonstrations and tastings of traditional dishes. These demonstrations will be given by leading Chefs, of Latin American origin, who are delighted to have the opportunity to share their gastronomic culture with a wider audience. Le Cordon Bleu Paris alumnus, Juan Arbelaez, demonstrates French cuisine with the colours and flavours of Colombia. 2017 is a year dedicated to cementing the friendship that already exists between Colombia and France. To mark the event, Le Cordon Bleu Paris is kicking off 2017 Latin America and Caribbean Week with a demonstration by its Colombian alumnus, Juan Arbelaez, a celebrity Chef who also owns a number of restaurants in France. 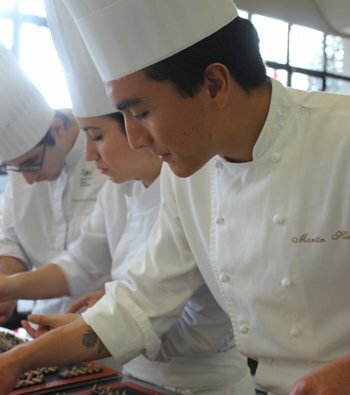 Learn more about the chef: Juan Arbelaez is a Le Cordon Bleu Paris institute alumnus. Learn more about his background on the page dedicated to our alumni. Parallels between Latin America and France: How Colombia took inspiration from French techniques, becoming a shining light at the very heart of the European gastronomic Boom. About the Chef: Lourdes is cuisine Chef at the Peruvian restaurant EL PICAFLOR, “Peru in Paris”. She is the daughter of a leading Peruvian Chef or “Picantera” and is passionate about the gastronomy and flavours of her homeland. The restaurant was awarded the Peruvian Order of Merit in 2011 for promoting Peruvian gastronomy in France. In 2008, El Picaflor came 1st in the international potato competition for its dessert recipe. “The best Peruvian restaurant in Paris”, “Guide du routard” travel guide. 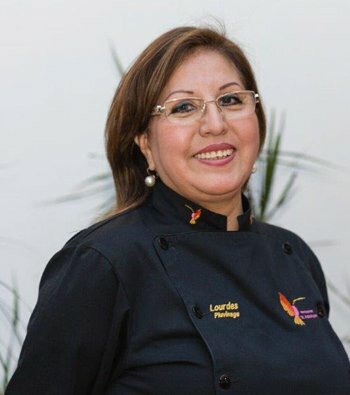 Lourdes Pluvinage presents new trends in Peruvian Cuisine. Joseph Archbold presents the cultural flavours of Panama. 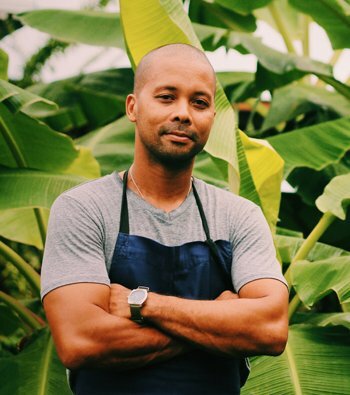 About the Chef: Chef Joseph Archbold took his first steps in cuisine in his mother’s Caribbean restaurant, Doña Mara, in Bocas del Toro. Whilst studying the Culinary Arts at Interamericana de Panamá University, he also worked at the Ten Bistró restaurant. After completing his studies, the Chef worked in the United States before returning to Panama to take over the running of the 9 Degrees restaurant in Bocas del Toro, where he stayed for one year. With these experiences in hand, Joseph Archbold set his sights on Paris where he began working at Chef Guy Martin’s Le Grand Vefour restaurant (2 stars in the Michelin guide), then at the Scribe hotel’s Le Lumière restaurant (1 star in the Michelin guide) and other restaurants with new style French cuisine such as Chef Grégory Marchand’s Frenchie restaurant. In 2014, Joseph Archbold returned to Panama to open his own restaurant, Receta Michilá on Carenero Island, in the Bocas del Toro archipelago, where he welcomes customers during the tourist season and also hosts events. One of the Chef’s latest ventures has been the launch of a Food Truck business based on Caribbean Street food with his Food Truck, Octo, on Colón Island. 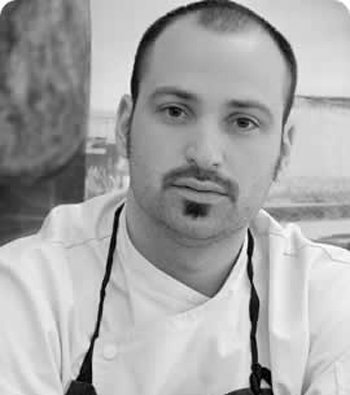 About the Chef: Martin Herrera, who was born in Ecuador, has developed his taste identity thanks to a myriad of experiences and the flora of the different regions which make up his country. The coast provides an abundance of seafood; the Andes, many foods including pig and potatoes; and the Amazon, fruits and tropical plants. 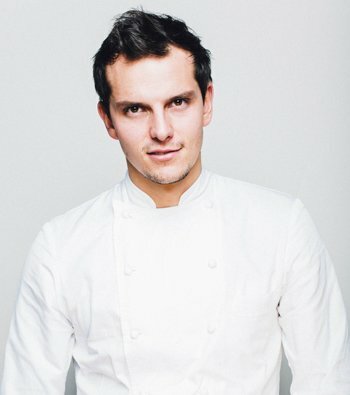 The Chef set out on the French leg of his journey in 2010, after completing his A-levels, when he began post secondary education studies in Chemistry. During his third year, he embarked on a change of direction into the gastronomy field. He realized he possessed the creativity, meticulousness and patience necessary for learning and developing cuisine recipes, using the same method he used for chemistry operating procedures. His time in Lyon provided a perfect introduction to French culture. He then decided on a change of scenery and took on the challenge of a three Michelin-starred restaurant. He worked with Yannick Alléno at Pavillon Ledoyen, where he discovered a new approach to French cuisine through modern sauces and fermented fruits and vegetables from the terroir. Ecuador built his taste identity but France, thanks to its gastronomy, gave him the techniques with which one day he would like to interpret Ecuadorian recipes for both the people of Ecuador and the rest of the world. Encocado is one of Ecuador’s main specialties. Martin Herrera will make his using prawns and accompany it with a floral infusion, Horchata, from Ecuador’s southern Andes mountain range. Martin Herrera presents Ecuadorian cuisine, a meeting of diverse terroirs. 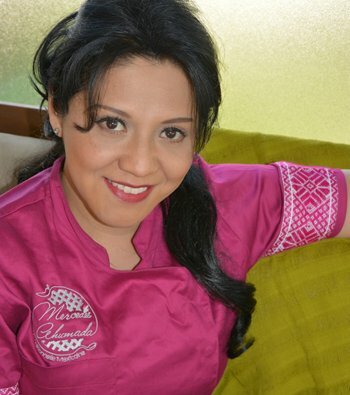 Mercedes Ahumada is a traditional Mexican cuisine Chef and founder of “Mercedes Ahumada Cuisine Mexicaine”, a company which supplies regional and traditional Mexican banquets in Paris and sells Mexican specialities. Mercedes was born into a traditional family which was strongly influenced by Mexican cuisine and boulangerie. Her grandmother, Doña Mercedes Peralta, who came from a farming background, was her first source of inspiration thanks to her strong leadership skills and her respect for the “milpa” (corn fields), which helped her to understand that it constitutes the perfect ecosystem of life and the basis of the Mexican diet. She also grew up surrounded by bread ovens, as her grandfather, Don Quirino Ahumada, founded one of the first and most important bakeries of that period. Mercedes never stopped cooking, even whilst studying chemistry and foreign languages, but it was only when she arrived in France that cuisine became her main focus once more. Today, her Mexican tortilla recipe is distributed to around 7000 French homes, as part of a gastronomic kit, and is also sold in restaurants in France. It is available to the general public in countries including Spain, Holland, Germany and England. 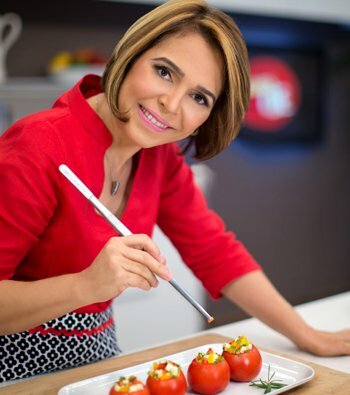 About the Chef: Jacqueline Henriquez is a widely renowned Dominican Chef and food stylist. She is also a television producer and presenter of “Les cours de cuisine avec Jacqueline” (cooking classes with Jacqueline), which is aired from Monday to Friday on Dominican national television. At the 2016 Dominican Gastronomy Awards, her commitment to spreading the influence of Dominican gastronomy, not only in her own country but also around the globe, was recognized and she also won an award for Best Gastronomic Communication. In the same year, she came first in a competition by Norwegian Sea Products for making an original dish using salt cod. Her success gave her the opportunity to give a gastronomy demonstration of her country’s cuisine in the city of Oslo, Norway. The Dominican Republic is already recognized around the globe for its numerous attractions, both touristic and cultural, and the same is true of its gastronomy. The Latin American Academy of Gastronomy and the Spanish Royal Academy of Gastronomy confirmed this by crowning the country the gastronomic Capital of the Caribbean in 2017. Chef Jacqueline Henríquez takes you on a flavour discovery of the country that brought us merengue and bachata. Her refined dishes provide a glimpse into the world of tropical flavours and the diversity of Dominican dishes.